TTFN means "Ta ta for now!" in Tigger's enchanting world! 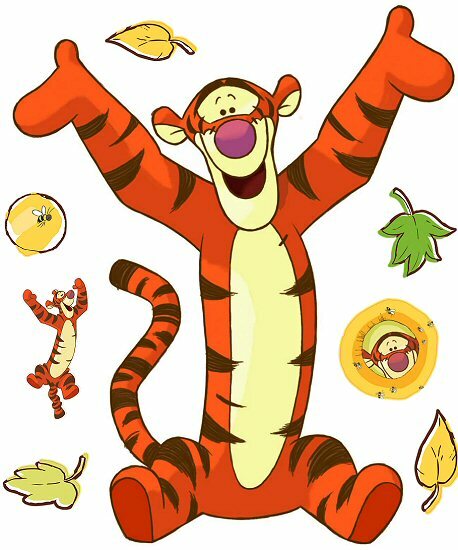 Bring the sweet spirit of Winnie the Pooh and his friends right to your walls with this larger-than-life repositionable Tigger giant wall decal set. Featuring fun accents - including a smaller-scale Tigger - this easy-to-use RoomMates peel and stick Tigger mini mural makes it a breeze to transform the look of any room in just minutes. 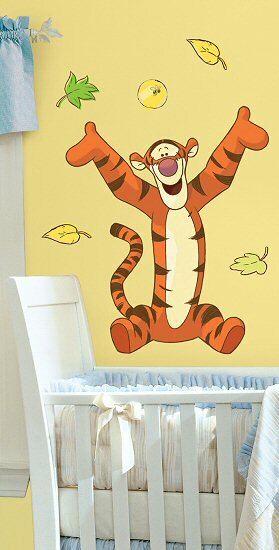 Our Tigger peel and stick giant wall decals (also known as peel and stick murals) are repositionable, removable, re-usable, and washable... the perfect combination for decorating the bedrooms and playrooms of kids. This RoomMates Tigger repositionable giant wall decals set offers decorating ease with no damage or residue to the surface.